A budding boxing aspirant from West Sikkim has made it to the prestigious Mary Kom Boxing Academy in Manipur. According to reports, Dikila Lepcha from Yangtey, near Geyzing, joined the academy recently. She is the first boxer, from Sikkim to be selected for the boxing academy started by six-time world champion Mary Kom. The academy is is the first full-fledged boxing academy with all the modern facilities for the training of boxers. Set at the foot of Langol hills, the academy is spread across 3.3 acres and is around 10 km from capital Imphal. The academy is also a Sports Authority of India (SAI) Extension Centre. It is a part of the Mary Kom Regional Boxing Foundation. Besides training, Dikila, known as a studious student will be continuing with her studies in Manipur. She was a students of ninth standard at Sakyong Senior Secondary School before she left for Manipur to persue a career in boxing. Dikila was training under SSB official and boxing coach Surender Singh of 36th battalion for two years before she was selected for the academy. 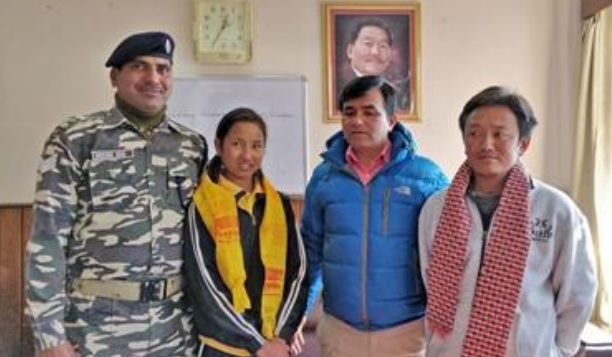 Meanwhile, the principal and staff of Sakyong school congratulated Dikila for getting selected and extended best wishes to her.